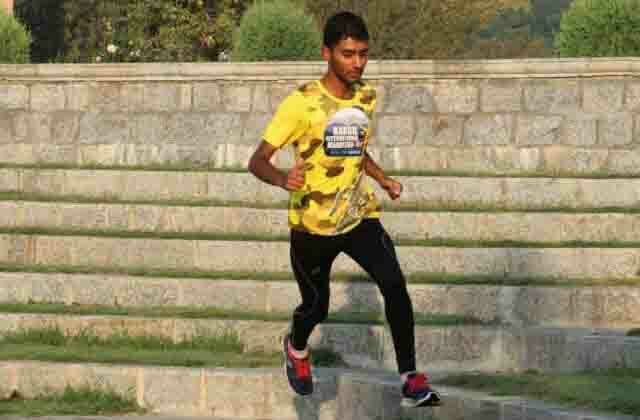 Kashmiri Athlete, Hamid Aziz will run 110 kilometres on one single day on Sunday with an aim to set a record for Jammu and Kashmir. The event will be flagged off at Hotel Shahenshah Palace Srinagar where from he will run towards Sonamarg and then Baltal to complete 110 kilometre run. Earlier this year Hamid has already covered 60 kilometres run on a single day with the Australian marathon runner Pat Farmer who concluded his Pan India great marathon in Srinagar. Hamid said that he is hopeful of completing the distance of 110 kilometres in just 10 hours. “It won’t be a much difficult task for me. I want to record my personal best,” said Hamid Aziz. He has also won all the inter-college road races and retained the title till he graduated from Islamia College Hawal. No athlete in Kashmir has run 110 kilometres yet.